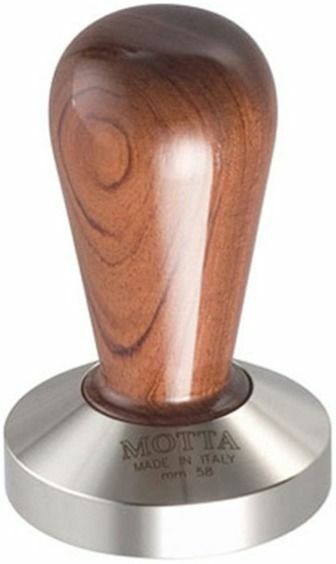 A good looking and comfortable tamper with a wooden handle from the Italian manufacturer Motta. The handle is made of bubinga wood, and it has a beautiful warnish. The stainless steel tamper part has a flat bottom.